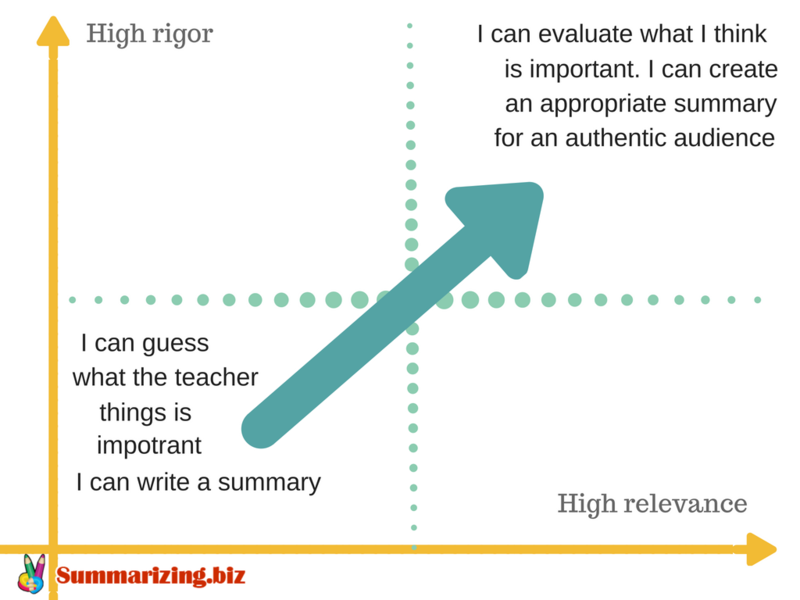 Why We Need to Summarize? Making a summary turns out to be a messy work for those who are unfamiliar with the process and don’t know the main summarizing strategies. Indeed many students face the same problem during the source summarizing: the process itself more reminds a simultaneous catch of the several preys. Students simply sticking the detached texts fragments together instead of making the comprehensive summary of the material. 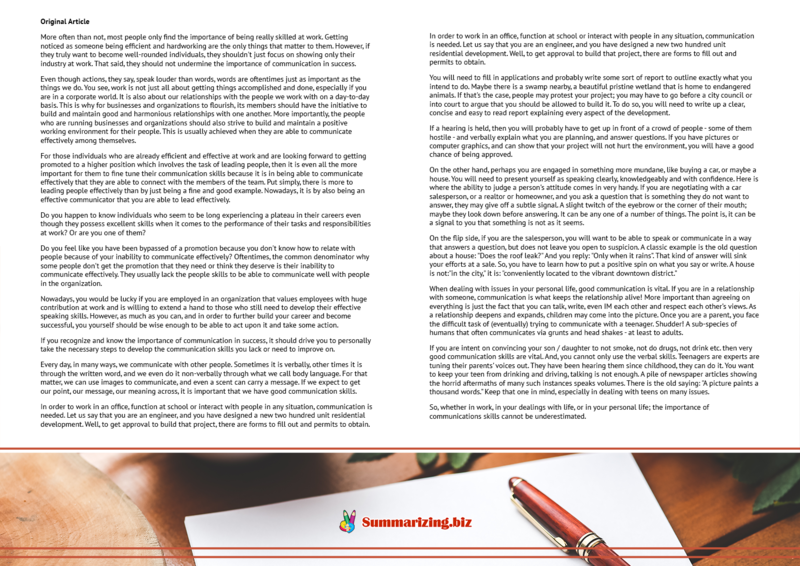 If you don’t want to fall within the same gap read out the article sharing the summarizing strategies and techniques that will help you along the way. The whole summarizing procedure is highly valuable in terms of original meaning grasping, nothing works better for the material understanding than restating it with own words in a nutshell. Summarizing often is required as a part of education process because of this property, this way the student can show the deeper understanding of what has been learned. In other words, summarizing it is a more condensed form of the article, book or single piece of writing the purpose of which is to deliver the essence of the original but in the short way, leaving out all the unessential details. Keep it brief: don’t lose the original essence but try to make it look more laconic, reduce and delete ruthlessly all the unessential sentences. In the summary paragraph don’t be tempted by desire to stick your own interpretation, draw the distinct like between your opinion and someone’s thoughts. There are 7 interesting summarization strategies for students, the main idea of those techniques is that some of them come in the kind of game form, not leaving the chance to get bored quickly during the brainstorming process. Some can be used in pairs or groups as a teamwork always enhances the result. This technique is very flexible and versatile, for instance, if you’ve just started studying the subject you can modify it according to your topic, you can work in a pair or as an independent student. The key points are then written down into a paragraph. You can use our article summarizer to get some idea of how it should look like. This strategy demands a cooperative work. You and your classmate or friend need to divide the text into the manageable chunk and then get the responsible ones for every piece of content. Just like in jigsaw puzzle each one will complete the missing gap. When performed by one student you need to article into several paragraphs and assign a 1 main idea to be derived from it, this way unessential information is sorted out. The Somebody-Wanted-But-So strategy (MacOn, Bewell & Vogt, 1991) is used during or after reading. Commonly used in social studies and in history based subjects. Students use a chart or a folded piece of paper. Task is to identify who wanted something, what they wanted, what conflict arose, and the resolution. Generating the summary in the game form that usually takes place in the classroom. After the topic was read by everyone the teacher tosses a ball to the student who in 5 seconds states the fact, concept or most significant feature remembered, then tosses further. A student sits down in case left nothing to add. Known as “the main or essential part of a matter” the GIST strategy (Cunningham, 1982) is organized so that you have 20 helping base words on which to lean on when developing a summary. The student must convey the gist in 20 words, this strategy is often used in narrative texts. The majority of people perceive the information visually, that’s why using graphics and spreadsheets might be more effective for them. The variety of schemes can be found online, developed or modified according to the task. One of the most widespread method for summarizing the factual text. Divide the paper in two columns, the main points on the left side, details and important explanations on the right. The ready chart is very useful in case when the narration is written in non-chronological order so the chart provides the clarity into the story, organizing into time logical and chronological order. 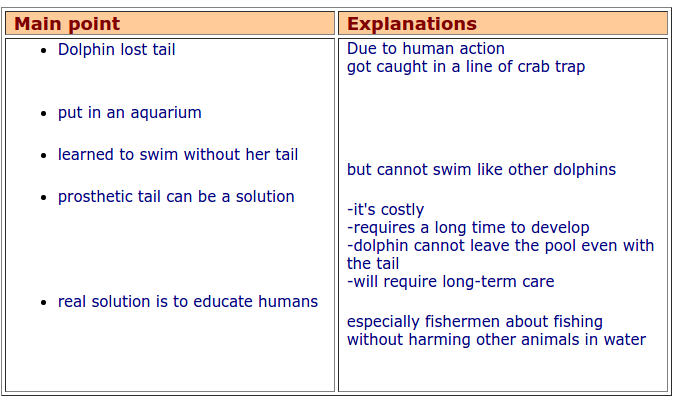 Let’s assume the student was assigned to summarize the news story about the dolphin that lost its tail. The student reconstructed the sentences from the main notes taken. See the final summary here and notice, how shrunk is the summary. 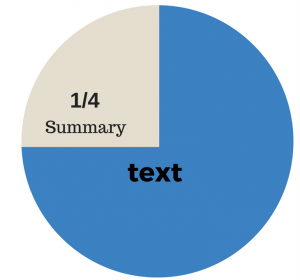 The original text contains 768 words whereas the summary is only 152 words long, so it would be right to say the text was reduced to 20%. Comprehensive. Your summary must include all the helpful facts, findings, authors most valuable ideas. Accurate. Make sure you didn’t twist the main meaning while making a summary, there’s no room for a misinterpretation. Neutral. The most common mistake is to include your own point of view, try to restrain from personal comments and evaluations when you just need to summarize the source. Independent. When your text can be understandable without actual reading the initial source then it is a success. 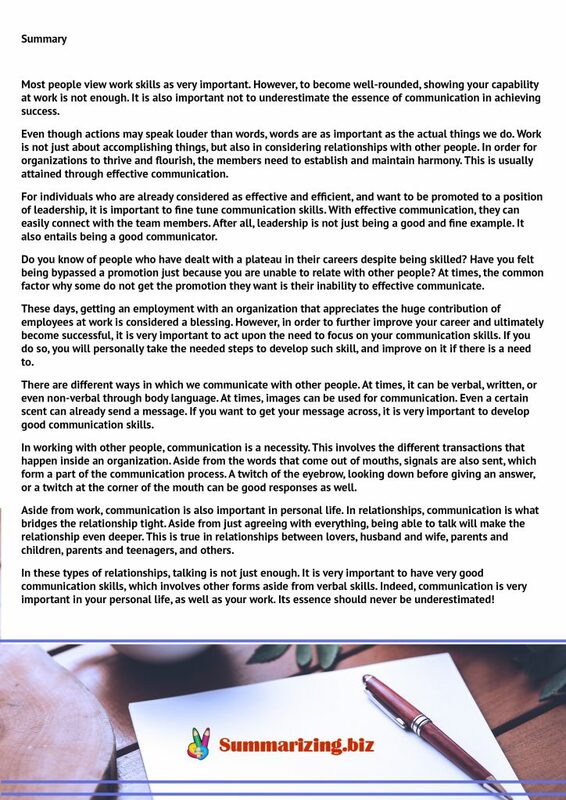 Academic conference summary requires from students to keep in mind several things at once, that’s why it is important to keep useful information and notes close by your side. Summarizing the conceptual or academic sources comes as a more daunting task and at times is different from simple texts summarizing. However, while you stick to the recommendations provided you will be able to separate most essential meaning in order to construct a trustworthy and decent summary. 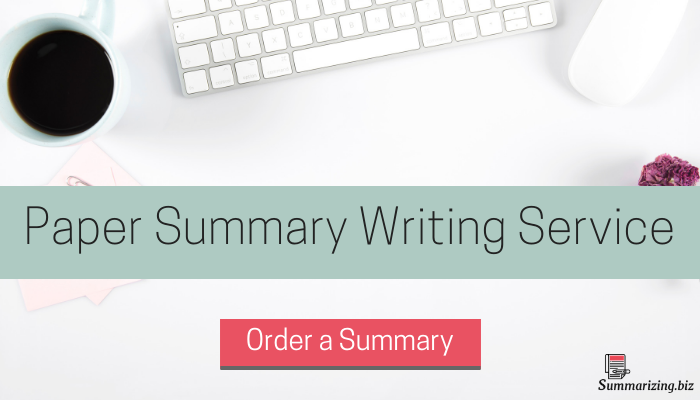 The exact path for writing a summary quickly and effectively is here, with us!